Closing her assignment with the FBI's Seattle office, forensic geologist Raleigh Harmon returns to her hometown of Richmond, Virginia, expecting a warm welcome. Instead she finds herself investigating an ugly cross burning at a celebrity's mansion and standing in the crosshairs of her boss at the Bureau. And the deeper Raleigh digs into the case, the murkier the water becomes . . . until she's left wondering who the real victims might be. 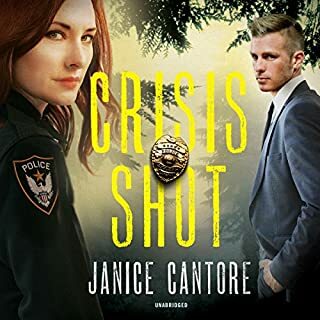 FBI Special Agent Raleigh Harmon boards a cruise to Alaska, hoping to leave behind a hectic work schedule and an engagement drained of romance. But then a passenger goes missing and winds up dead. The ship's security chief tries to rule the death a suicide, but Raleigh's forensics background points to a much darker conclusion: Somewhere onboard, a ruthless murderer walks free. 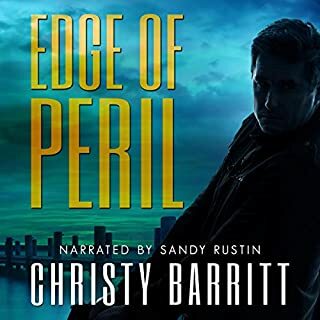 Engulfed by one of her toughest cases yet, Raleigh requests assistance from the FBI and receives her nemesis - handsome Special Agent Jack Stephanson. Sent undercover to a thoroughbred horse track, Raleigh takes on a double life to find out who’s fixing the races. But when horses start dying and then her own life is threatened, Raleigh realizes something bigger - and more sinister - is ruining Emerald Meadows. She’s never felt more alone. Her one contact with the FBI is Special Agent Jack Stephanson, a guy who seems to jump from antagonistic to genuine friend depending on the time of day. And she can’t turn to her family for support. They’re off-limits while she’s undercover, and her mother isn’t speaking to her anyway, having been confined to a mental hospital. When evil descends like fog on a mountain community, no one feels safe. After hearing about a string of murders in a Smoky Mountain town, journalist Harper Jennings realizes a startling truth. She knows who may be responsible - the same person who tried to kill her three years ago. Now Harper must convince the cops to believe her before the killer strikes again. Sheriff Luke Wilder returned to his hometown, determined to keep the promise he made to his dying father. The sleepy tourist area with a tragic past hadn’t seen a murder in decades - until now. No one needs to push Nikki Boyd to excel on the Tennessee Missing Person Task Force. The case of her own missing sister, still unsolved after 10 years, is the driving force in her work. When a Polaroid photo of a missing girl shows up at a crime scene, Nikki quickly recognizes similarities to the past. The closer she gets to the abductor, the more she feels that this case is getting personal and that she is not the hunter at all - but actually the one being hunted. When a plane carrying Bree Nicholls' husband and son disappears, her life changes forever. Her relentless determination to find them starts an investigation that links their disappearance to a violent crime threatening to tear the peaceful town of Rock Harbor apart. He stopped, hovering above her lips, giving her the opportunity to back away...create space between them. Instead, she leaned into him, met his kiss. The moments evaporated as he held her, a touch as light as if she were a cherry blossom he could crush. Get caught up in romance and suspense with this novella from award-winning author Cara Putman. Things were business as usual for family law attorney Ciara Turner, until she walked into her mentor’s office to find the judge had been murdered. After the murder of her twin sister, Murphy Anderson changed her name and appearance and moved to Kodiak, Alaska, to avoid the press and publicity. But when local authorities discover she's an artist and request her help in drawing a dying man's memories, she unintentionally ends up in the limelight again - and may be back in the killer's crosshairs. Nikki Boyd's flight into Nashville was routine - up until the crash landing at the airport. When the dust settles, Nikki discovers that the woman who had been seated next to her on the plane is missing - and no one will admit she was ever there. Erika Hamilton had been flying to Nashville with an air marshal as a key witness in an upcoming grand jury trial. When she flees from the crash, is she running from trouble or straight into it? Eight years ago, Francesca Canetti testified against her father - the head of a mafia crime family. Now she's Frannie Peters, running a bakery in the witness protection town of Sanctuary. Her former-starlet mom and her younger sister mooch off all her hard work, her best employee has terminal cancer, the town's mafia crew insists she's one of them, and her love life is so non-existent it isn't even funny. Dare she try and unearth a better life? When a routine case turns deadly, forensic geologist Raleigh Harmon finds her career on the rocks...and her life at stake. Special Agent Raleigh Harmon is good at her job, but not as good at bureau politics. As one of the few females on the team, she finds herself in a strange land when she's transferred from Richmond to drought-stricken Seattle. When a hiker suddenly goes missing and a ransom note arrives, Raleigh realizes there's no time for transitions. Vowing to find the missing college girl, she must rely on her forensic geology skills to uncover the truth, leaving no stone unturned. 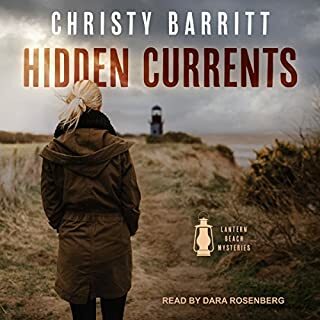 Gritty and poetic, with an evocative sense of place, a quirky cast of characters, a fast-twisting plot, and a compelling, complicated heroine, this superbly crafted mystery will keep you listening compulsively as hope runs short, the clock runs down, and the rivers run dry.